NAKA has been contacting legislators in the US Senate and House of Representatives to inform them about the Afrin genocide and ask if they support specific, key measures to compel Turkey and its jihadist allies to withdraw from Rojava and cease hostilities against the Democratic Federation of Northern Syria. 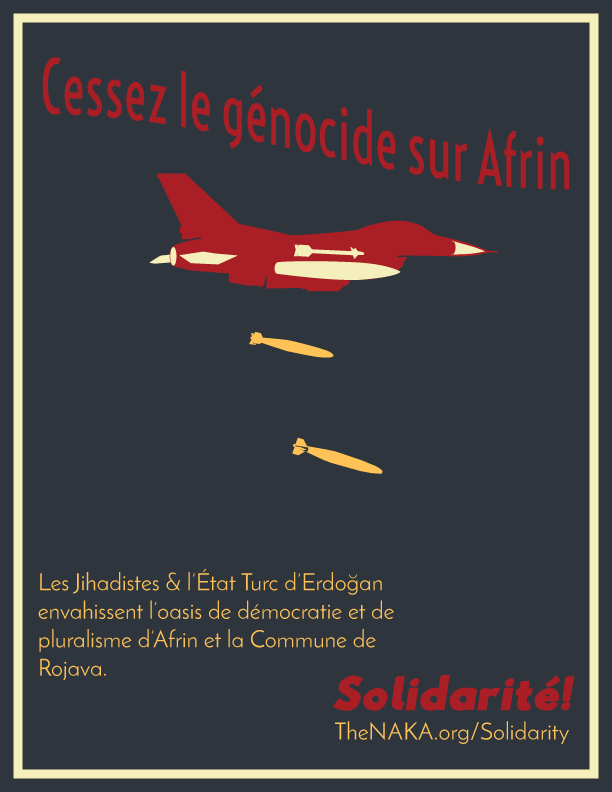 Immediate condemnation of the Turkish and jihadist invasion of Afrin. This campaign will conclude with an article, press releases, and announcements to NAKA membership of the positions of Congress. At the stage of the campaign, now, when most legislators have been contacted, the campaign switches to a public-facing campaign to encourage everyone to contact their legislators. 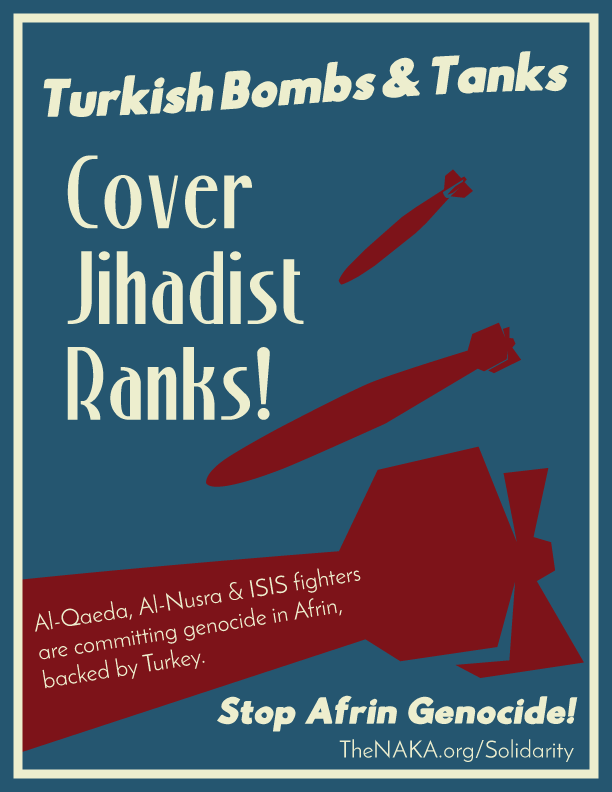 This is presently dovetailing well with legislation to block F-35 fighter jets, introduced April 26th, 2018, and a provision in the NDAA that prohibits the Defense Department from executing “the delivery of a foreign military sale for major defense equipment under Section 36 of the Arms Export Control Act to Turkey, until the report is complete." If you'd like to help contact legislators on behalf of NAKA or help with the public-facing leg of the campaign, sign up to volunteer.